Another month of books! Linking up with Steph and Jana and jumping right on in! The Sunshine Girls are together again, called home by their mother Ronni, who has learned that she has a serious disease and needs her daughters to fulfill her final wishes. 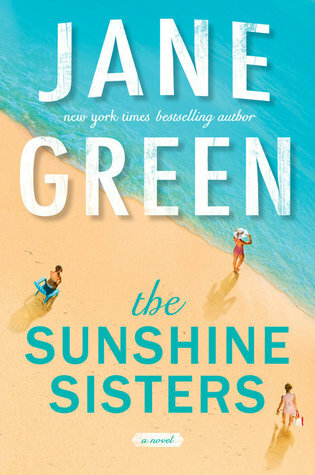 Jane Green is always a solid read for me, and this one was no different. I actually really enjoyed this book!!! You get to know all the characters so well and watch them grow. In the beginning, I felt like none of the characters were particularly likeable, but I did end up liking all of them in the end. There were a few things about the ending that sort of made me scratch my head, but I liked how it all came together. If you like books about dysfunctional families, this would be right up your alley. Bottom Line: Another solid read from Jane Green. Cass is having a hard time since the night she saw the car in the woods. She learned the next day that the woman died. Since then, she’s been forgetting every little thing: where she left the car, if she took her pills, the alarm code, why she ordered a pram when she doesn’t have a baby. And then there is the silent caller. I am coming to love B. A. Paris. Man, can she write a good book! I sort of guessed early on a little of what was really going on, but there were a few twists I didn’t see coming. I really enjoyed the development of characters in this book. There was a point in the book where I hardly trusted any of the characters. That is how you know you are sucked in and must continue on! The small suburb of Pleasant Court lives up to its name. It’s the kind of place where everyone knows their neighbours, and children play in the street. Isabelle Heatherington doesn’t fit into this picture of family paradise. Husbandless and childless, she soon catches the attention of three Pleasant Court mothers. But Ange, Fran and Essie have their own secrets to hide. As their obsession with their new neighbour grows, the secrets of these three women begin to spread – and they’ll soon find out that when you look at something too closely, you see things you never wanted to see. This is my second book by Sally Hepworth, I really enjoy her writing. I got in to this one right away. It moves at a fast pace, but it is easy to keep up with the different POV. It sort of reminded me a little of Big Little Lies, following the lives of five separate women who all have their own secrets. I was actually surprised at the depth of some issues it touched on and it really shows how complicated marriage, relationships, and parenthood can be. I felt like anyone could relate to each of the characters in some way, and they were well developed without the author dragging on. Bottom Line: If you liked Big Little Lies and reading about drama with a little bit of suspense and imperfect lives…I think you would enjoy this one! I request that my library purchase books all the time. Nothing makes me sadder than when I really get excited about one and find they don’t even have it. I got an email that a book I requested for purchase was now available and squealed in delight when I realized it was The Hating Game!!! Kristen speaks so highly of it, so I knew I had to read it. I am going to go ahead and say it. I LOVED this book. I think this is my favorite read so far this year. It was so light, romantic, funny. I absolutely adored it and cant recommend it enough! I had such a horrible week last week, and this book is really what go me through. It was just what I needed. I loved the build up of the characters and all the witty banter. I had such fun reading it! Bottom Line: Read it if romantic comedy is your thing. So good! I have dabbled in essential oils in the past. Mainly tea tree oil for acne and argan oil for dry skin. I have never really diffused any or used them to make cleaning products around the house or anything. I would like to get more in to them, and I thought this would be the perfect book for that. 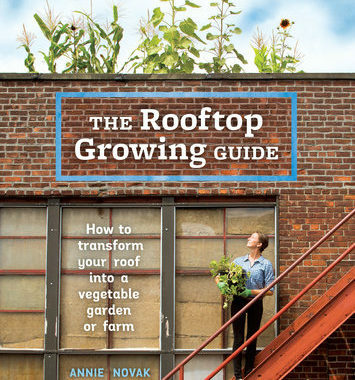 This book has a lot of information and is a great place to start. I really like that there are recipes for many things and suggestions to help with conditions like inflammation, anxiety, and skin disorders. I have been looking at diffusers on Amazon and am about to pull the plug on one and get started! 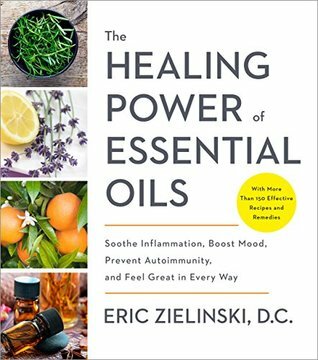 Bottom Line: Great book full of basics and more to get started with essential oils. All the covers of your books this month look so springy and pretty too…just something I noticed. lol. I liked The Breakdown but I think I liked her first a bit better. I have the next one from Netgalley so I need to get to that sometime. I want to see The hating Game become a movie – seriously! Green & Hepworth’s books will probably go on my TBR, sounds right up my alley! Ugh, I just got chills being reminded of the Breakdown. I absolutely couldn’t figure it out!! 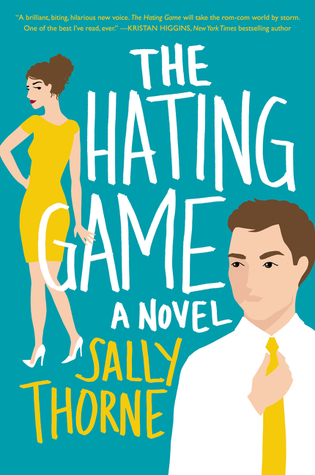 I loved The Hating Game too – glad you finally got to read it! I thought The Breakdown was okay – it was a bit easy to figure out, I thought, at some points, but not too bad overall. I’d be curious to read something else by the author. I read Behind Closed Doors based on your review and I LOVED it. I read it in one night! Now I want to read The Break Down!! I just got The Family Next Door and was waiting on your review. The Breakdown looks so good and now that I know you liked it, I’m in! Hope you had a good day! I don’t diffuse as much as I used to. I want to get back into it. I’m coming to love Paris too! The Family Next Door sounds like something I’d really enjoy! And I love BA Paris too! I swear that she can do no wrong and I was hoping to get her newest from Netgalley but I don’t think that I was lucky enough to get it. And that’s so awesome that your library got The Hating Game for you! That’s awesome! I really like Sally Hepworth. The Family Next Door sounds really good! I really want to read the hating game! I feel you on the bad week stuff… I’ve had one of those weeks this week, and the book I’m reading is giving me something to look forward to! 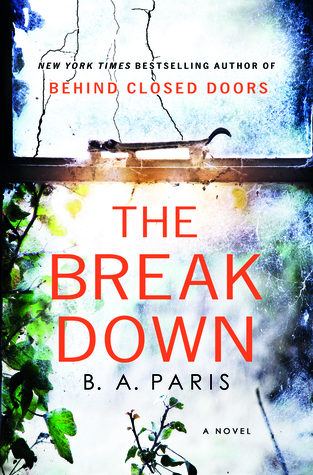 B.A Paris’s new book was on NetGalley. Not sure if it still is but you should check. I liked her first one better than The Breakdown but I am excited to see what she does in the new one. So glad that you ended up loving The Hating Game. It’s SO SO good. I love when patrons request books for us to purchase. I always try to get buy those books when I can. The Family Next Door sounds interesting! I’m not usually drawn to books like that but something about it sounds intriguing to me… I might have to add that one to my TBR list! My mom bought me an essential oils books for Christmas last year and I should really crack it open and educate myself on them. I use rosehip oil and argan oil for my face and I diffuse some scents occasionally but that’s it. yayyyyyyyyyyyyyyyyyyyyyyyyyyyyyyyy i am so happy you loved the hating game. if you didn’t, our friendship would be over. JK JK. 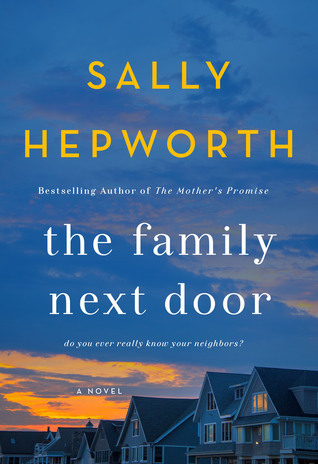 i don’t think i’ve read a Sally Hepworth book before, i’ll have to check that one out.